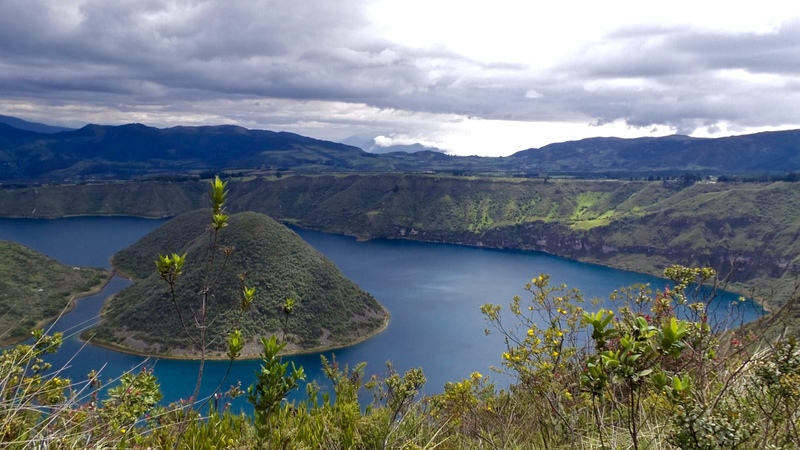 A walk around the beautiful, quiet, peaceful Cuicocha Lake, perfect for a day of reverie. Surrounded by farmland, in the distance the landscape is dotted with small clusters of houses and views of winding roads. The lake sits still in the center of the crater with no escape and no life inside yet sparkles a brilliant, deep blue. Greens and bright flora grow wild around its edges. I’m always happiest floating as a cloud in the crowding company of nature.